Achieving musical perfection: a vague theory – The Nuge. I have a vague theory I’d like to share. The great thing about vague theories is there’s no evidence or research to back it up, so nobody minds too much if it doesn’t make any sense. This theory came to me, of all places, whilst listening to the theme from Newsnight. A while back I somehow wangled a ticket to see Bill Bailey’s Remarkable Guide to the Orchestra, the comedian’s sublime classical music/comedy evening. Even in the cavernous wasteland of the O2 arena (as Bailey joked, “there’s heckles coming from a different postcode”), the majestic power of a full orchestra was something to behold. Among the classical standards he enlisted the BBC Concert Orchestra to run through was the venerable theme to BBC2’s flagship current affairs show. It sounded incredible: the stab of urgent, authoritative horns demanding your immediate attention, as if to say “this is important, yeah? Pay me heed!” But what struck me more was how oddly perfect it sounded. This, after all, was music I was utterly familiar with, from within the furthest alcoves of my very soul. Like any TV theme it seemed omnipresent, ever since the days of staying up late for the sake of staying up. I’d heard it innumerable times before and now here it was, live in front of me, performed flawlessly, every inch of the music re-confirming what I already knew about it, chiming with memories past. It could only have been more perfect if Paxman himself turned up and started interrogating me about my policy on immigration. My theory runs thus: we can (and frequently do) achieve a level of perfection in music through familiarity. I know this sounds a little trite, especially given perfection is an impossible state to reach, but it’s more about perception of perfection. 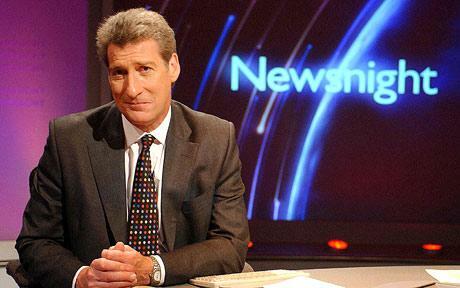 You could try to improve the Newsnight theme, but at this stage it would be impossible. We know exactly how it sounds, every contour and every beat, and our familiarity with it becomes as much a part of why we love it as anything. It’s perfect, exactly as it is.